What we have for you here are two leaked slides, which allegedly show a concept design and the actual specs of the upcoming Nokia Lumia PureView. It should be the Windows Phone twin of the Symbian-based 808 PureView. According to those slides, the Lumia PureView should pack a 4.3-inch HD screen, a dual-core 1.5GHz Krait processor, Adreno 320 graphics, a 41MP camera sensor – same as on the Nokia 808 PureView with 1080p video recording and Windows Phone Apollo ticking inside. Well, the specs sound quite right for a next generation WP flagship and Nokia would certainly be bringing the PureView technology to its Lumia range, but that design is plain ugly. We know that the huge sensor mandates a thicker profile, but that's just ridiculous. 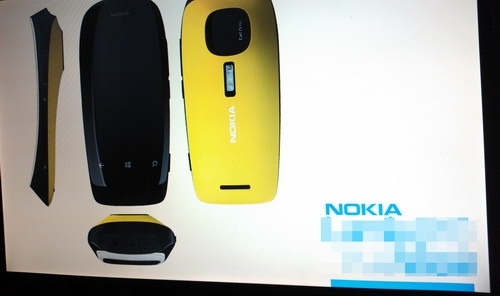 We really hope that, if these slides are indeed real, Nokia will choose a different design for its Lumia PureView smartphone. 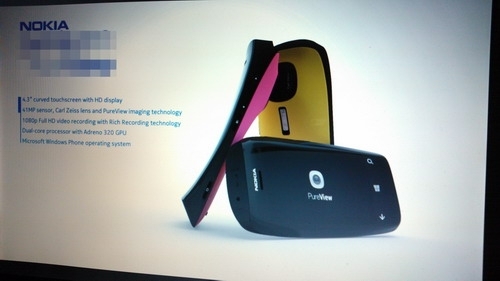 Ugly desing, just design Lumia 900 with pureview similar than N8 and I buy it right away.